Siri's Position On Abortion? A Glitch, Not Conspiracy, Apple Says : Shots - Health News When it was discovered earlier this week that Apple's new iPhone assistant had trouble telling users where to find abortion providers, abortion rights groups immediately cried foul. Apple's new iPhone 4S includes a personal assistant, Siri, that responds to user queries. Just because you're paranoid doesn't mean they're out to get you. That could be the motto this week for abortion rights groups that immediately sprang into battle mode when it was discovered that Siri, Apple's new artificially intelligent personal assistant, wasn't so, well, intelligent when it came to abortion. It turns out, however, that it was all much ado about not so much. True, Siri does fail to find multiple abortion providers in large cities like Washington and New York City. She (the voice is female) also tends to send inquirers instead to far-flung pregnancy crisis centers, which not only don't do abortions, but also actively work to dissuade women from having the procedure. In a letter to Apple CEO Tim Cook, NARAL Pro-Choice America President Nancy Keenan complained that Siri "is not providing your customers with accurate or complete information about women's reproductive-health services." Some advocates wondered if there was a conspiracy afoot. "There was conjecture by many colleagues that perhaps they were afraid of the anti-choice community, or perhaps, as one put it, it was a bunch of dudes programming, who didn't have any notion of what women might need," said Jodi Jacobson, editor-in-chief of RH Reality Check, a leading abortion-rights website. But it turns out not so much. "Siri is a dumb tool," says Damon Poeter, a reporter for PC Magazine who wrote a story about the dustup. By that he means not literally dumb, but perhaps not as smart as she sometimes seems. For example, Siri doesn't do searches based on Google, which Apple sees as a rival, but on other, newer search engines. But Google, he says, "has had a decade to refine its results and get smarter and smarter about deciding what people actually want when they do searches. 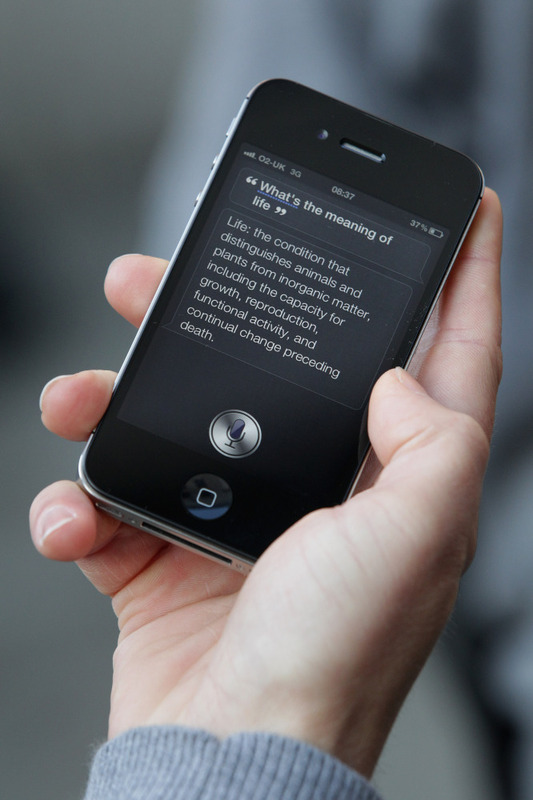 Siri is still in its infancy, so we're going to see things like this happen." There's another reason Siri may be favoring crisis pregnancy centers — they tend to use the word abortion a lot, while actual abortion clinics may not, if only to avoid protesters. "So when Siri goes out into the Internet looking for what an abortion center is or what an abortion provider is, it hits on these non-abortion-providing organizations because they're the ones who use the word to underlie their websites," Poeter says. Jacobson agrees that abortion-rights forces need to do a better job getting information out. "I think this is telling about a broad set of issues about the reliability of information on the internet, and the ways in which we might be self-censoring, that then lead us to have search engines that don't fully inform us about what we need," she said. On the other hand, many women's groups have lamented that many tech products, Siri included, are clearly designed by men, primarily for men.